One of my favorite things about living on the Outer Banks is beach combing with my kids and finding amazing treasures. 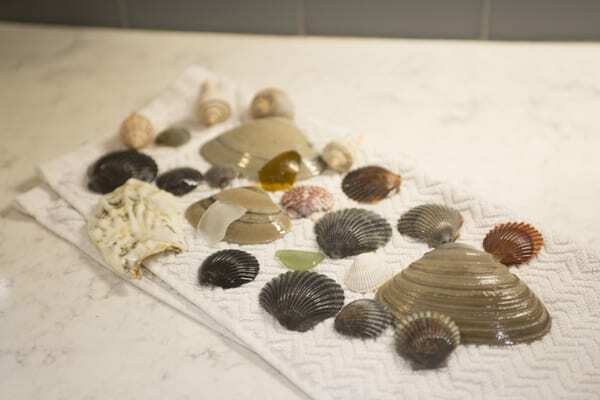 We have jars and jars of our favorite shells from local beaches and from our travels near and far. While I prefer to keep our shells lining the steps outside of our home or in small glass jars in our kitchen, the kids always love to create a special craft with their treasures. With the surprise 60-degree day that we were given yesterday, I knew that Penny would be excited to get to the beach after school. After I picked her up, the girls and I spent some time walking and looking for seashells. 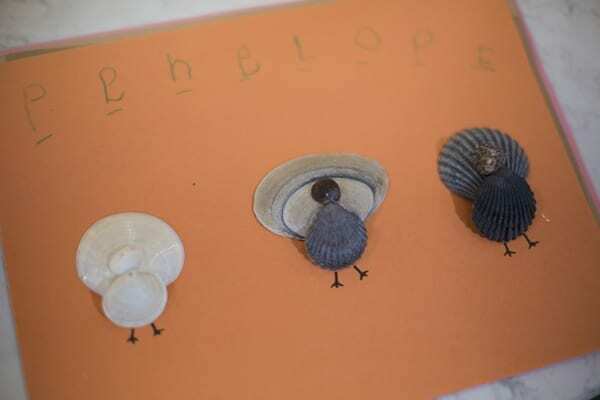 Penny must have had turkey crafts on her mind after her kindergarten Thanksgiving party because she looked at the lines on a shell and commented that they reminded her of turkey feathers. 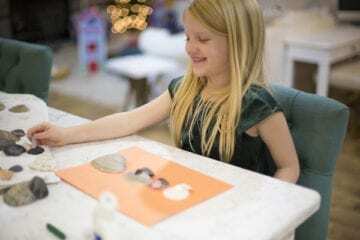 I could instantly see her wheels turning while she came up with a way to create a turkey out of a seashell. We gathered as many as we could and headed home to start crafting! A hot glue gun, some construction paper and a sharpie was all we needed to bring her idea to life! This is a super simple and quick craft to do with the kiddos while they’re home from school for a few days or while you’re here on vacation for the holiday. We used the largest shell with the hinge line down, a medium shell with the hinge line up and a tiny shell for the head of the turkey. Super easy! While I’m most thankful to be a mom and wife here on the Outer Banks to happy and healthy kids, I’m also super thankful for kids who enjoy creating as much as I do! Happy Thanksgiving and happy crafting!